As a fully licensed Esthetician, Tammy Do has the experience and knowledge required to make you look your absolute best on your wedding day. 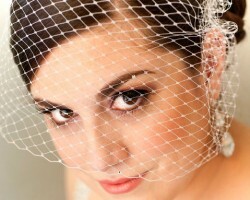 She is one of the busiest makeup artists in the state and therefore her services get booked up early. This is due to her impressive list of qualifications and reviews of her previous work. Despite being one of the best in San Jose, Tammy strives to offer her clients competitively affordable prices, which means even more brides can look stunning during their celebration. With the perfect combination of a boutique feel, spa services and experts in both wedding hair and makeup, Bloom Bridal Boutique is the ideal place for any bride-to-be. Their beauty services are some of the best in the state including: waxing, eyelash extensions, facials and airbrush makeup services. All of their bridal makeup is designed to last for more than 16 hours, which means you will be looking your best from the beginning of your day right until the last dance of the night. On your wedding day you should never leave your makeup in the hands of a second-rate makeup service. Face-It are able to consult with you directly to see exactly what you like and these experts will be on hand to answer any questions you may have. In addition to always making you look your best this professional service offers permanent makeup options. Reviews from previous clients always mention just how incredible the results are and how many compliments they received on their wedding day. Whether you have a particular look in mind or you would like advice from the experts, Selina’s Bridal Shop is the only makeup artist in San Jose, CA that you should visit. It is the flexibility of this service that makes it the best in the area. The artists are able to travel to each client or you can visit their beautiful boutique. No matter what you choose you will end up with immaculate results and a look that will make you feel your absolute best on your wedding day. Tara Fontana, the founder of Fairytale Hair and Makeup, started the service because she saw just how much brides of California needed talented artists to assist them in looking their best on their big day. Each member of this talented team is hand selected by Tara and is carefully trained to only provide the highest quality of makeup services to each client. With access to some of the best San Jose makeup artists you will never need to worry about how you will look on your wedding day.